There is no bigger heart for this university than that of Savannah Smith. With her iconic signature smile, she greets the people of this place with warmth and joy. Savannah believes that we can better the university by investing in its people and finding a place for everyone at the table. 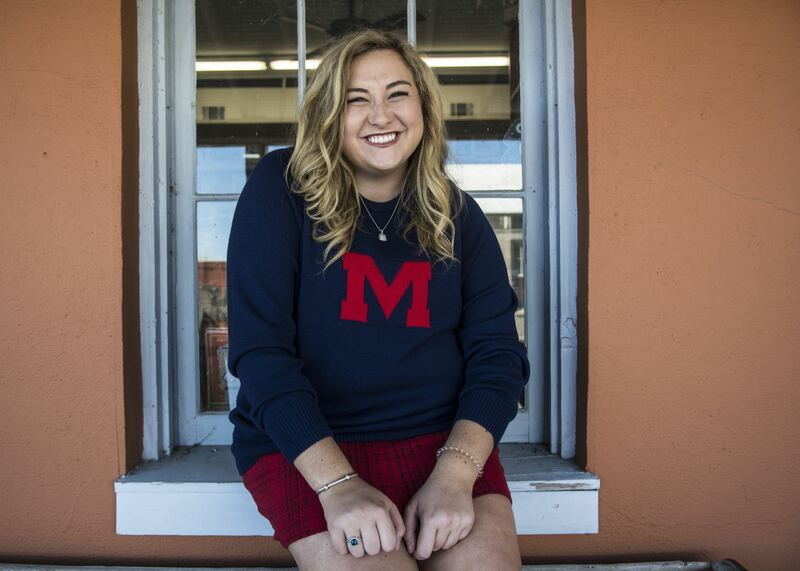 In this way, she has greatly impacted the Ole Miss community with the genuine mentality that this is “Our Ole Miss.” Above all, she hopes to leave a mark of kindness among those she encounters. Savannah Smith is from Corinth, MS. Her major is Public Policy Leadership and Journalism. 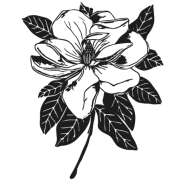 Involvement: Co-director of the Ole Miss Big Event; Vice President of the Columns Society; Orientation Leader; Orientation Coordination; Ole Miss Ambassador; and member of Chi Omega sorority. Favorite projects: Adopt-a-basket (Sophomore Year with ASB Cabinet as Community Service Director) and working as a counselor at Camp Desoto the summer after her freshman year. When I thought of college my senior year, Ole Miss was just always what I thought of. My grandfather went to school here. My parents went to school here. I grew up coming to the Grove and coming to football games. This ended up being the only place that I applied to. I mean, I just knew that this was it. That’s pretty much, how I came to be at Ole Miss. I had no idea what was going to happen when I walked on campus my freshman year. I had no idea about the people I was going to meet. Every semester and every year, it’s just so sweet because you meet new people that you learn so much from. It’s really special because there are a lot of places that you work and interact with people who are different from you, but I don’t know if there are other places in the world where you truly love them deeply. You begin to understand who they really are, and you can see them for who they are. That’s something that is really special that Ole Miss has taught me while I’ve been here. It has given me people that I love that are so different from me, as well as those that are similar to me. It has just taught me so much. I’ve learned so much about how much I don’t know, and I’ve learned so much about how much there is to learn. When I came in, I wasn’t really sure what I wanted to do with my life. I’ve had professors that have seen things in me and have said “I think you’re really gifted in this” or “I think you should try this” or opportunities that I never thought that I would have had. And now, I’m at the end of these four years, and I have at least one next step in the direction that I want to go, and that’s journalism, which is really cool to me because it’s not what I would have thought I would do at the beginning of these four years. The depth of who I am has grown so much from when I first got on campus. These four years, you really start to stand on your own foundation, and you become your own person who’s been equipped with wonderful times and difficult hardships. It stretches you and grows you. There are so many people that I just love and adore and couldn’t imagine my life without. It definitely changes you. There are so many. Orientation was probably the biggest thing that had an impact on my time at Ole Miss just because you’re in this room with people who are complete strangers and by the end of this, you truly love each other and you learn so much from each other along the way. You spend this time together and it’s a small reflection on what the entire Ole Miss family really is. This is so cliche, but beating Alabama freshman year was a day that I will never, ever forget. I remember we were down for a lot of the game. I went to sit with my parents for a few minutes, and I remember seeing the scoreboard and thinking, “Oh my goodness, we may just pull this off!” Then, I ran back down, and I had lost my friends but I found Mary Elizabeth. We just stood there and watched, and then it happened. We all just flooded the field. That was one that I will never in a million years forget. I have never seen so many people excited about the same thing. Why did you decide to run for Miss Ole Miss? Were there any specific events? It was friends who approached me about it. It was something that I always shrugged off and said, “You know, I don’t feel like that’s something that I necessarily need or want. That’s so far out of my comfort zone to do anything like that.” And I said that all the way through it. It’s a lot to put your heart into. Though, I guess at the end of the summer, a lot of my friends kept approaching me. You know it was so weird. It was like there were about five people that I think if they had not been like “You should do this,” I don’t know if I ever would have. It was in the span of about a week; they all just said, “Hey Savannah, you should do this.” I’ll never forget the girl that I lived with this summer, Georgia Summer. She looked at me one night and said, “Sav, are you gonna do this?” You know, I just said that it wasn’t really on the list. And she said, “I really think you should do it. I really think you’re going to regret it if you don’t.” I don’t know what it was. It was just something about the way that she said that. I just thought “Wow!” I really do think that this is a place where if I was going to succeed or if I was going to fail, I love and trust these people so much that I would be comfortable to do either one of them. And that it was just going to be a great experience, no matter what happened. What does being Miss Ole Miss mean to you? It really is a day in and day out making people feel seen, heard and like they’re appreciated. And that every person has a seat at the table. We always have more to learn from the person that’s sitting next to us, and just sort of cultivating that and continuing to cultivate that community and that culture here. Every single person makes this place what it is, and it’s really sweet when we get to celebrate those gifts in others and see those parts of other people. I think that’s the day in and day out of it, and just truly and really earnestly taking those things to heart and loving this place the best that the two of us can. The other part of it is the service project. That’s the big thing that we are doing. We did this thing with orientation last year, where we talked about this legacy, and it was cool to kind of see and think about. I would want to leave a legacy of kindness, and a legacy that you don’t have to be a certain person to be somebody. You make a difference. The actions that you make, you decide if you’re going to buy it or not. We all have the ability to be intentional. I would hope that my legacy would be one of kindness and intention. What was going through your head that night at the Lyceum before they announced the election results? Tuesday was the day that it was so surreal. Tuesdays are my favorite days of the week. They’re super underrated. Today’s a Tuesday, and it’s been a great day but that Tuesday had been the sweetest day ever. My roommates had surprised me with Bottletree, and it had been so sweet to see so many people that I love. I remember that night feeling like a total dream. It was like I was watching it but my feet weren’t actually on the ground. It was all happening. I was seeing it, and I heard it. My stomach was in knots before it happened, and my hands were so sweaty. I was so nervous. I was with all of these people that I love so much and that had poured so much of their time and hearts into what we were doing. I remember standing there and literally holding on to them for support because of my knees. I was trying not to lock them. I so nervous and just looking around. I was kind of holding my breath until they announced it. Then it really was so surreal. People were jumping, and I was just standing there. My little brother said that I just kind of stood there for a second and started crying, and then just sort of fell back into everybody that I was around. It was the sweetest moment ever, and I was so humbled and honored. It was an exciting night, but it did feel really surreal for a long time. When Tucker found out, it got a little bit more real. A big part of [bettering Mississippi] is the university’s investment in people. That is an overarching theme: the time that people put in when they don’t have to or when it’s not necessarily an obligation for them, they just want to. They want to see us as individuals, as students, and as citizen-scholars be better versions of ourselves. Experiencing that for four years, people doing it to us and us being able to do it for people, that is something that is really powerful. It is something that I think is the heartbeat of what the state needs more than anything, people who believe in and invest in Mississippi and its people. Another shameless plug: the Big Event is a service project that is a physical representation of this. It’s the biggest day of service in Mississippi. It’s humbling to get to watch students from all different walks of life, from all different parts of campus come together on one day and do something together. That’s something that is bigger than any of us individually. That’s one thing that I’ve been a part of during my time at the university to helps the state of Mississippi. A big part of [bettering Mississippi] is the university’s investment in people. That is an overarching theme: the time that people put in when they don’t have to or when it’s not necessarily an obligation for them, they just want to…It is something that I think is the heartbeat of what the state needs more than anything, people who believe in and invest in Mississippi and its people.